Capricorn, the Sea Goat, is the third sign of the Earth triplicity and the tenth sign of the tropical zodiac. This loyal, but ambitious sign is ruled by Saturn (structure; karma) and is the exaltation of Mars (action; passion). The key phrase for Capricorn is "I use". Saturn, considered the great malefic, harbinger of stasis and disease and also the planet of structure and reality, is the ruler of Capricorn. This is the sign of personal independence and the struggle for economic security. 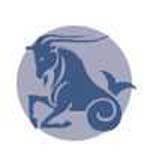 Capricorn people have a knowledge of practical affairs; prudent habits teach them to utilize everything they see and hear. They are adept at finding solutions and are neat and methodical in their work. They like their money and have frugal instincts. Capricorns often look older or more mature when they are young and are prone to be weak when young. However, when they reach middle age, the reverse occurs. They seem to defy the aging process and retain a remarkably youthful appearance well into old age. Good dietary habits, if learned in their youth, tend to stay with them as adults. Their innate spirit of competition makes them enthusiastic in business and great sporting competitors. Each sign has internal, external and structural rulerships. Externally, Capricorn rules the joints (especially the knees), hair, teeth and skin; internally, the mucous membranes, the peripheral nerves and portions of the stomach. Structurally, it rules the skeleton, bones and patella. The Sun is weak in this sign, but Capricorn does tend towards longevity unless afflicted by the Moon or Saturn. 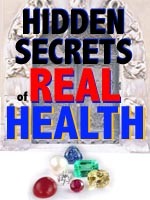 Many diseases result from business anxieties. The accidents from this sign are broken bones, sprains, dislocations and hurts from the knees and below. Sensitive skin, allergies, and broken bones are problems, while worrying too much can also result in physical disorders. Capricorn suffers from insecurity and anxiety in youth, but blossoms under Saturn in the later years. Capricorn people do not readily yield to disease, but once sick they hold onto the symptoms and can become hypochondriacs. Worry and anguish can also result in health problems like heart attacks if they are not careful to relieve their stress with proper exercise. The pathological tendencies are crystallization, dryness and constriction. Routine massage and foot reflexology can be of considerable benefit. Capricorn rules the colours chocolate brown, royal and navy blue, dark green and charcoal grey. Capricorn people also respond well to the healing ray of magenta. The birthstone for Capricorn is the garnet. Capricorn also responds to the energies of fluorite, emerald and rose-eye jasper. Remember only to wear these stones if you want to bring their influence into your life. More about Gemstones and Astrology. Strict people who deny themselves, greedy for perfection, ruled by theories. Worry of others, anticipates trouble, imagines the worst. Used in the treatment of coughs, earaches, menstrual disorders. Cypress, honeysuckle, lilac, mimosa, myrrh, patchouli, tonka, tulip, vetivert. This is a cold sign requiring more heat producing foods, which is why most Capricorns are meat eaters. They should guard and protect themselves in cold weather. They need foods containing iron to enrich the blood. 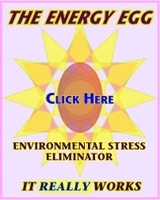 They also need magnesium to calm their nerves and relax their muscles. Hot soups and spicy foods will benefit, especially during winter months. Drink fresh, green vegetable juices regularly to prevent toxic deposits and calcifications. Being a dry sign, drink copious quantities of water, especially water that is exposed to the warming rays of red, magenta and scarlet. Beneficial foods include rye, almonds, eggs, fish, coconuts, kale, leeks and onions. disorders of the skin, pustular formations, eruptions.